people who know God and people who are searching for God; mothers and fathers, someone’s son or daughter. Their journey out of homelessness began with a meal and a safe place to sleep. It ended with restoration. Is the cost to provide a hot meal to one hungry person. By offering hope. We partner with you to ensure those experiencing homelessness can access tools for a better life. With your support, over 62,000 nights of shelter are provided to people in need per year. Restoring Lives Through Rescue and Renewal. We depend on God’s grace and provision as we provide access to food, shelter, life skills and spiritual care. The services offered at the Mission lead to lives being positively impacted and renewed. Since 1905, we have been restoring lives through rescue and renewal. We’re well known as providers of food and shelter for the homeless, but we go beyond that to create healing communities where lives are transformed. 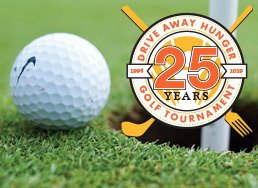 The annual golf tournament is played on a beautiful local golf course with the goal to raise funds to feed the homeless and the hungry staying at the Mission.